Fan shirt with a distinctive print. Colour: green. 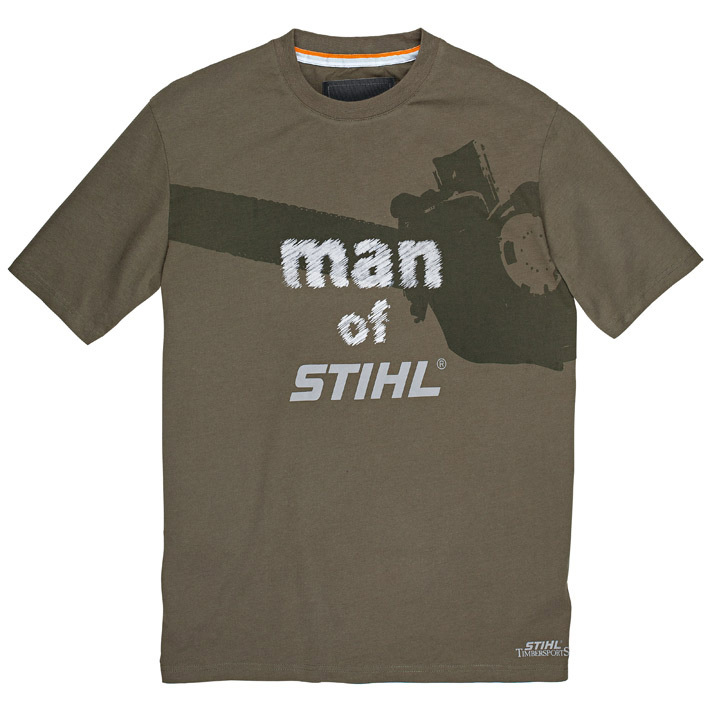 100% cotton, neckband with coloured contrast stripes, different prints: graphic chain saw print, "man of" text inn flock print, STIHL logo in normal print, STIHL® TIMBERSPORTS® logo above the waistband. Sizes: XS, S, M, L, XL, XXL.